The Deitels' How to Program series offers unparalleled breadth and depth of object-oriented programming concepts and intermediate-level topics for further study. Using the Deitels’ signature “Live-Code™ Approach,” this complete, authoritative introduction to C programming introduces fundamentals of structured programming, and covers relevant features of C language’s C-201X standard. 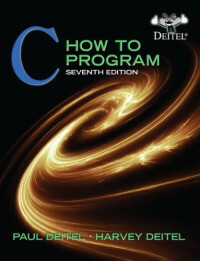 It also includes an updated treatment of C++ for those who want to transition to object-oriented concepts. Finally, new material on security is added to this edition. beyond the superficial slogans and choosing an operational, actionable strategy.